A massive monument carved out of solid rock, a monster-sized super-dome that defies the laws of gravity. These awe inspiring feats of engineering defy explanation, yet they are not modern--they were actually built thousands of years ago. The Great Pyramid was the tallest structure on earth for over 4,000 years! But what techniques, materials and tools could ancient engineers have used to build it? Stonehenge is one of the most mysterious structures ever built, but could the secret to its construction ever be revealed? Abu Simbel is ancient Egypt's greatest monument which even eclipses today's Mount Rushmore. 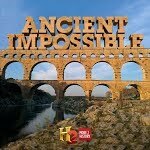 How did the ancient engineers make the seemingly impossible possible?